Click here to read the terrific review of "Wilton" in SCENE magazine by Dr. Ryan Van Cleave. 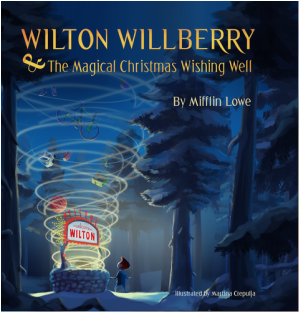 ﻿Wilton Wilberry doesn’t like Christmas because he always gets the “crummy stuff” while his older brother and sister always get the “good stuff.” Then Wilton discovers a magical wishing well with a wild Santa Claus who gives Wilton everything he wants — while no one else gets a thing! On Christmas Eve Wilton is sad and lonely. In the end, with the help of the beautiful Christmas Princess, Wilton realizes that the most important thing in the world isn’t “stuff” but rather love, friends, and family. And Wilton has the happiest Christmas of his life. Click on the picture above to see more and read more. 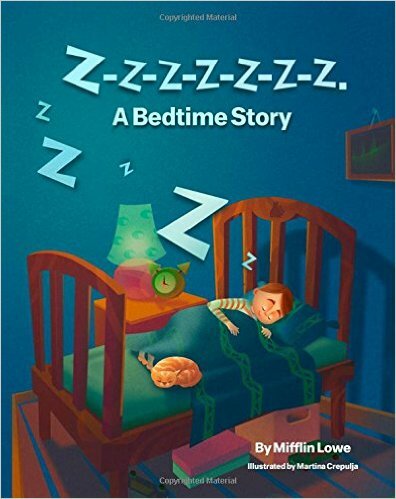 Written in the lyrically simple style of Goodnight, Moon, Mifflin Lowe’s new book, Z-Z-Z-Z-Z-Z-Z-Z. (A Bedtime Story.) is the perfect nightcap for children up to age 5 (and their exhausted parents.) Featuring the captivating illustrations of artist Martina Crepulja, it’s a sweet and lovely path to sweet and lovely dreams. Click on the picture above to see more and read more, including coloring book pages. BUY NOW ON AMAZONSMILE AND HELP THE ASCPA. ​AmazonSmile will give 0.5% of the purchase price to the ASCPA. Locokids will give an extra "TRIPLE MATCH" contribution for each book sold! FREE BOOKMARK GO TO "CONTACT US." Phoebe is a little dog with a BIG bark. Boris is a BIG dog with a little bark. Alone, they feel like misfits. Together, they discover they're perfect. Click on the picture above to see more and read more, including coloring book pages..
BUY 39 PAGE BOOK NOW ON AMAZONSMILE AND HELP THE ASCPA. AmazonSmile will give 0.5% of the purchase price to the ASCPA. Locokids will give an extra "TRIPLE MATCH" contribution for each book sold!